Sathya S. Gosselin is an attorney with Hausfeld, LLP. The firm’s founder, Michael Hausfeld, is widely regarded as one of the top civil litigators in the United States. Gosselin’s been a partner in the firm for six-plus years and is based in Washington, DC. Gosselin takes on a lot of Hausfeld’s sports and entertainment projects and is a principal member of Michael Hausfeld’s Ed O’Bannon case team in the landmark O’Bannon v. NCAA litigation. 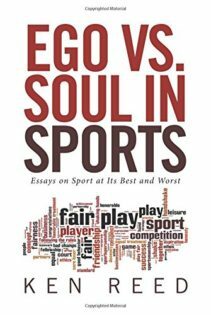 He examined and cross-examined witnesses at trial, deposed key NCAA executives, and briefed complex constitutional issues advanced by the NCAA and television networks. The court determined that the NCAA had violated the antitrust laws by limiting student-athlete compensation. That ruling was upheld by the 9th U.S. Circuit Court of Appeals. 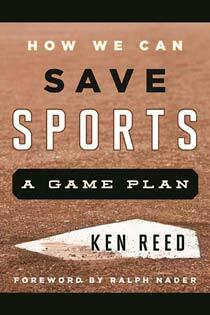 Gosselin was recently interviewed by Ken Reed, League of Fans’ Sports Policy Director. Ken Reed: The Ninth U.S. Circuit Court of Appeals upheld a lower court’s ruling in the Ed O’Bannon case that the NCAA violated antitrust laws by limiting student-athlete compensation. However, the Court also ruled against a plan to pay student-athletes up to $5,000 annually. What are the real world repercussions of those two somewhat contrasting rulings? Sathya S. Gosselin: I think it’s important to emphasize that the litigation is a landmark achievement. Two courts now, the district court and the appellate court, have explained in great detail why the NCAA’s arguments don’t furnish the sort of antitrust immunity that the NCAA has proposed for going on three decades now. In addition, the NCAA is now subject to an injunction that prevents rules that might bar compensation to student-athletes for the use of their names, images and likenesses up to the full cost of attendance. We think those are real achievements. It’s troubling that the Ninth Circuit concluded that the district court had erred in its assessment of the trial evidence and its finding that modest deferred compensation of up to $5,000 is a substantially less restrictive alternative to the restraint. We are seeking rehearing with the full court on that very point. Reed: The Ninth U.S. Circuit Court ruling also said the NCAA is not required to permit its schools to provide more than cost of attendance compensation to student-athletes. This seems inconsistent with the Court’s ruling that the NCAA is violating antitrust laws regarding limiting student-athlete compensation. Gosselin: I suspect that what is happening here, at both the district court and appellate court levels, is that the courts are hesitant to impose upon college athletics wholesale change overnight and are trying to strike a balance between the acknowledgement of the antitrust violation and a perceived unfair marketplace for the talent in terms of the names, images and likenesses of college athletes. I think there is widespread recognition that change is coming in college athletics and that change will include some form of revenue sharing among college athletes. I think the decisions, in the way they’re structured here, are designed to give the NCAA the benefit of doubt at every turn, and to give the schools an opportunity to ready themselves for the new world. Reed: It seems like the Ninth U.S. Circuit is still trying to figure out a way to preserve amateurism. Why do you think that is? Gosselin: I think one of the sticking points in this litigation is a definitional confusion. Amateurism has historically meant whatever the NCAA has said that it means. 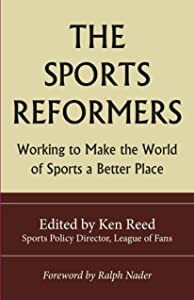 But because we are all subject to the NCAA’s advertising, and the rhetoric of the NCAA’s public relations campaigns, there is, on the part of many I think, a reflective attitude that this thing we call college sports cannot undergo any changes lest it somehow become endangered. And I don’t think that would in fact happen. I think it’s the result of the successful, decades-long, PR campaign by the NCAA frankly. And when you start to look under the hood at this claim that paying college students even a dollar would corrupt the sport and viewers would begin to turn away, it really seems like a feeble argument. We know in fact that fans would not run away in droves from the sports we know and love if college athletes were compensated in some modest fashion. The NCAA’s own witnesses admitted as much at trial. Reed: Well, sure, and you have the Olympic model that shows that fans didn’t run away in droves when amateurism was removed from the Olympic Games. Gosselin: Absolutely, and we studied the Olympics at length. Reed: It seems like an easy solution — at least a relatively easy first step — is for the NCAA to adopt the Olympic model, which would allow all college athletes to receive outside income for things like autograph shows, selling calendars with photos of themselves inside, even sponsorship deals. The Olympics did that and the world certainly didn’t end for the Olympics, or the fans. The Games are more successful than ever, from both a financial and a fan interest perspective. Why can’t the same model be applied to college athletics fairly quickly? Gosselin: Well, I think that is an easy first step, and I absolutely think it could be taken. But I hesitate to endorse a plan that would eliminate college athletes ability to participate in the lion’s share of revenue here, that the athletes themselves are helping to create. It’s a curious industry that refuses to pay the entertainers themselves. One of my colleagues refers to this as the last industry of unpaid labor. And I don’t know why college athletes — contrary to coaches, athletic directors, university presidents, broadcasters, conference commissioners, and the list goes on and on – are the only ones singled out for exclusion from participation in this multi-billion dollar industry each year. It is all the more imperative that this situation doesn’t continue given the statistics on the number of college athletes that go on to play professionally. Only some 2-3% of Division I athletes actually make it to the professional leagues. And even then the median NFL career is somewhere around three years. The number of star college athletes that make it to the pro level and are financially stable for life is but a handful among the thousands of college athletes who are actually at their peak in their sophomore, junior and senior years — in terms of their earning capacity, if you will — as it relates to athletics. Reed: Is part of the problem in college athletics the fact that big-time college athletics programs operate under the non-profit umbrella of their universities? Do we need Congressional action to remove the non-profit status of the NCAA and big-time university athletic departments? Gosselin: I think it needs to be part of the bargaining process. That is, I think federal and state legislators should become part of this dialogue, and I think it’s a topic that’s an important part of the discussion. We do need to recognize the sizable sources of revenues that are streaming into the schools through athletics. And I do think it’s time to revisit the NCAA’s status as a not-for-profit. This is an organization that pays its president somewhere in the vicinity of between $1.7 and $1.9 million a year. Reed: Let’s switch topics, what’s the status of your firm’s class action lawsuit against the NCAA to get compensation for athletes who suffered concussions while playing for their university? Gosselin: We have a settlement for which we are seeking approval. We are hoping to get that approval soon and that there will be a remedy provided to the class. The remedy would include a fund for medical monitoring and comprehensive medical coverage for college athletes. Basically, a system would be put in place essentially, to make sure college athletes are getting the medical coverage and evaluation they need to detect CTE and degenerative diseases at an early stage. Reed: So, there aren’t any financial awards as part of this settlement? Gosselin: In this particular suit, no. Reed: Does the remedy include ongoing medical care after they’ve left the university? Gosselin: Yes it does, in the form of medical evaluations. Reed: According to recent polls, a majority of Americans now believe that college athletes should receive some of the revenue from the licensing and media deals in college athletics. Is it just a matter of time before big-time college athletes are treated justly in this country? Gosselin: Yes. Definitely. And it won’t be that long now. Reed: It sounds like you’re pretty passionate about doing this legal work on the behalf of college athletes. Is it rewarding? Gosselin: Yes. I’m rewarded by the opportunity to serve these college athletes, who are great clients, remarkable individuals, and who I think deserve a lot more than they are currently receiving.